Photo via The Somali American. For many immigrants with hopes of making a living off farming, owning and operating a farm can seem like an impossible task between startup costs, attaining Minnesota agricultural knowledge and finding a market for produce. The Minnesota Food Association (MFA) works to alleviate some of these challenges by offering an in-depth, hands-on farm training program for immigrants, refugees and other individuals from historically marginalized communities. 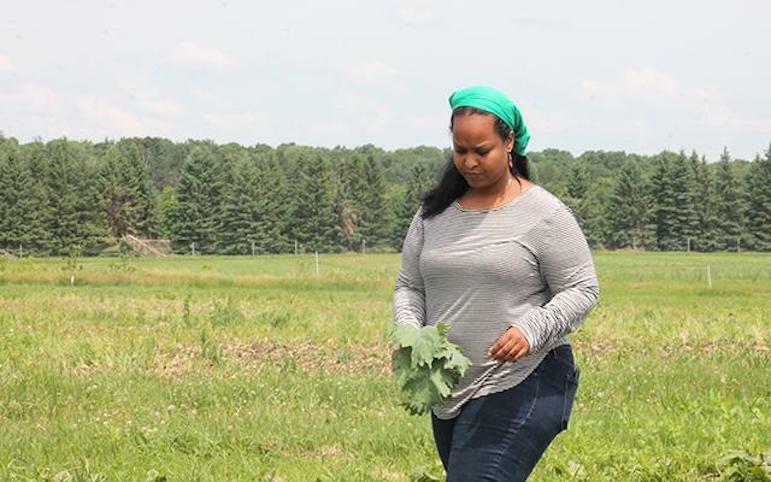 As part of this program, many Somali immigrants, including Naima Dhore, have been able to find success in organic farming, sustaining the food system and carving out a niche for immigrant farmers to develop and hone agricultural skills. Read more at The Somali American. A new outpatient program called the Native American Community Clinic (NACC) will work to combat substance abuse, specifically opioid abuse, in the Little Earth of United Tribes community of Minneapolis. Though there are several extant substance abuse programs around the metro area, NACC will combine culturally informed harm-reduction with a family systems approach, serving patients from Native communities with sensitivity to their culture and experience. “This is the ‘next level,’ the ongoing step for recovery and treatment that our community needs,” said Jolene Jones, president of the Little Earth Residents Association that manages rental housing in the Little Earth complex. Get more details at The Circle News. Told through mediums of virtual reality, an art installation and live demonstrations, Doctors Without Borders brought an exhibition to the Twin Cities to raise awareness around the global refugee crisis. The various kinds of programming allow for an immersive experience, giving visitors a visceral, if limited, feeling for the struggles many refugees face. The tweet above by a friend who attended the Governor's buffer initiative meeting in Worthington was fleshed in a Worthington Daily Globe article by Julie Buntjer, Dayton's buffer initiative targets water quality:A New Ulm-area farmer was the first to speak up, saying that of the 55 million acres in Minnesota, the state’s Department of Natural Resources (DNR) manages more than 5 million acres, and 27 million acres is in production agriculture.“I foresee this as a land grab,” the man said. “My ancestors settled in southern Minnesota in 1858. They removed the Native Americans from this property to gain access to it, and now I look at our government moving us off of our land.”Moerke noted in a message that this statement caused some in the audience to groan. Buntjer reports on the governor's response:“We’re not trying to take your land away, but when it comes to runoff and stuff going into the water, that’s a different story,” Dayton responded. Along with a team of artists, organizers and educators, poet Keno Evol held the first Because Black Life Conference in the Twin Cities. The conference focused conversation around issues that impact black communities in our neighborhoods and making space for networking, healing and community building. 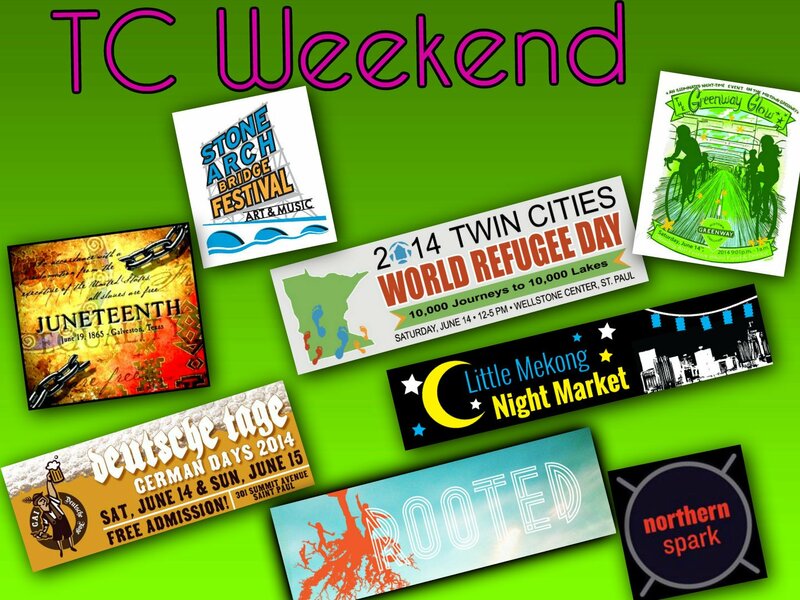 TC Weekend | Green Line kickoff, Juneteenth, Northern Spark, Greenway Glow, Stone Arch Bridge Fest & more! Festival-palooza is upon us, people! This weekend may be the biggest for outdoor festivals this summer.